Cool Ideas for Your Family! 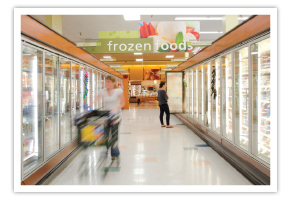 When it comes to shopping for your family, frozen foods are an option that provide convenience and quality at once. From fruits and vegetables frozen at their peak to meal solutions, TOPS has lots of great options for you choose from. There are many reasons frozen foods are a great choice for your family. Ultimately, freezing keeps food fresh. Freezing locks in that fresh taste until you're ready to enjoy. Plus, frozen foods are just as nutritious as fresh foods, so you can get that nutrition without worrying about eating before your food spoils. The FDA found that there is no difference in nutrition between fresh and frozen produce. Frozen meals and foods are portioned for you and portion control is a proven strategy for weight management as recommended by the Dietary Guidelines for Americans. Freezing is a natural preservative, and many of your favorite foods-including lasagna- contain no added preservatives. Actually, the freezer aisle of your supermarket is filled with meals made with the highest quality ingredients and prepared the way you would. Frozen foods actually minimize the amount of spoiled food we throw away every day. Restaurant-inspired entrees like seafood scampi, sesame chicken and monterey chicken cost under $4 each and are located down our frozen aisle! 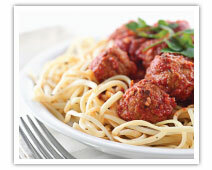 View our collection of delicious frozen food recipes perfect for any family meal!